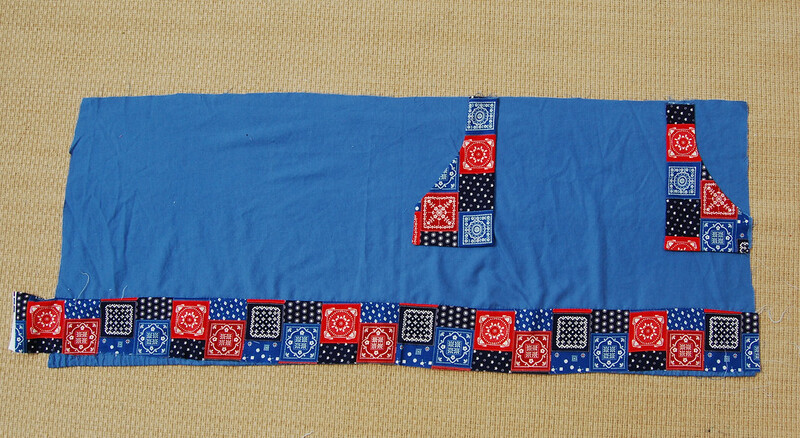 Up till now, we've been making patch pockets with straight-across openings along one edge. Today we're going to try a couple of pockets with curved openings. 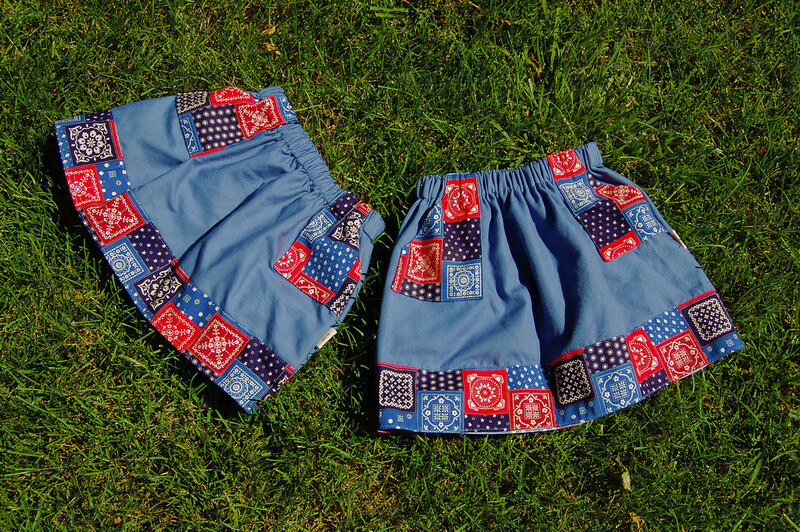 They look like inset pockets, but they're external, so they're still patch pockets. Start with a rectangle with one corner cut away in a curve. Serge all edges. 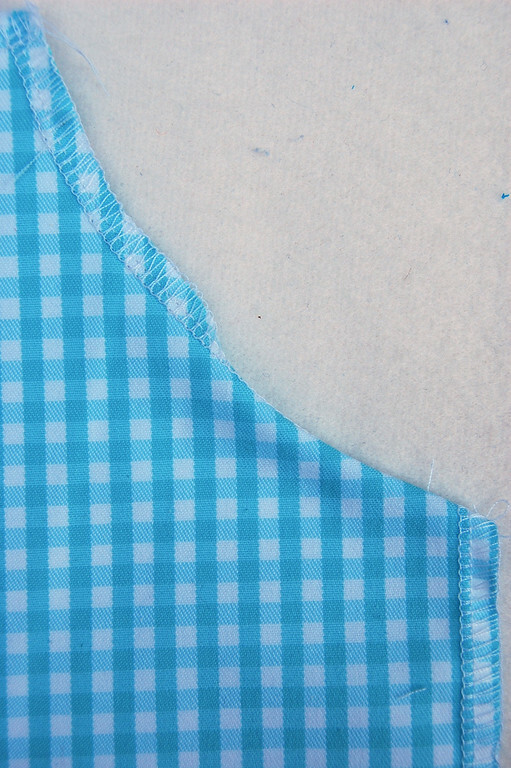 Fold in the seam allowance of the curved edge to the wrong side of the pocket and top-stitch it flat - just along that curved edge. That's the opening. 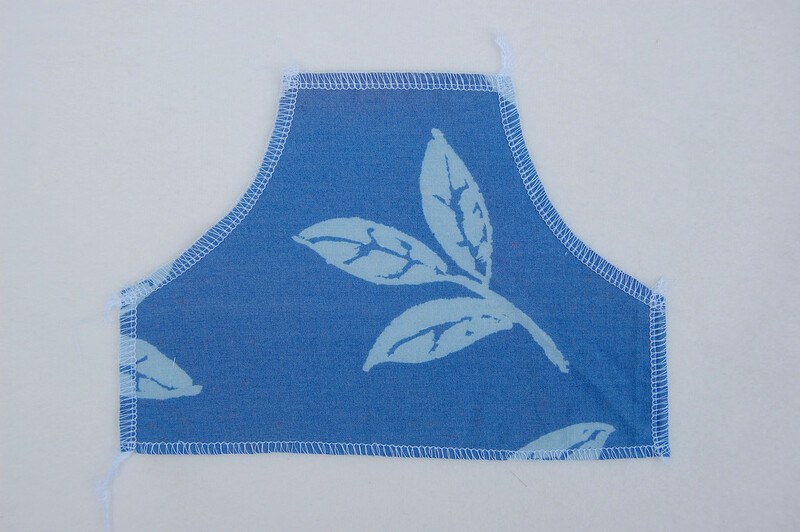 Pin in place on the garment, and fold in and top-stitch just the edges that will not end up tucked into a seam later. 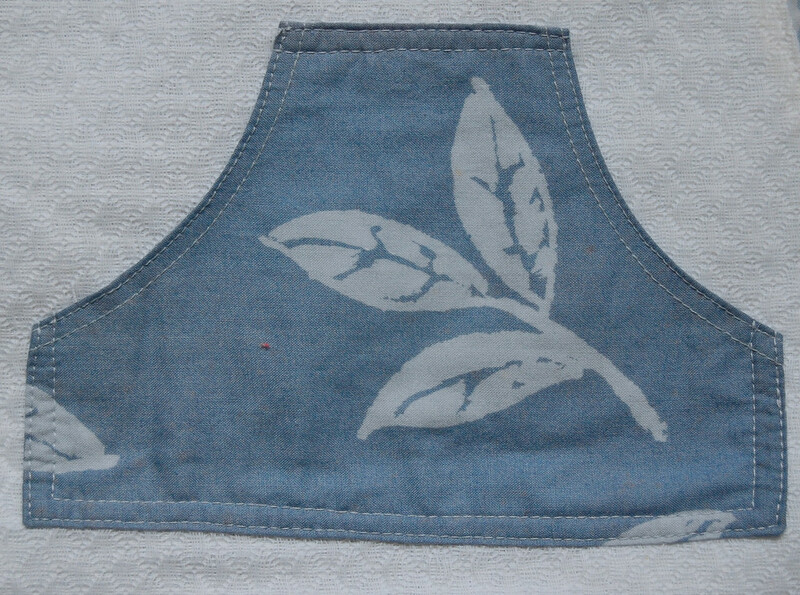 In this case, the left edge will later be tucked into a seam, so only the top, bottom and side edges are folded and top-stitched down. 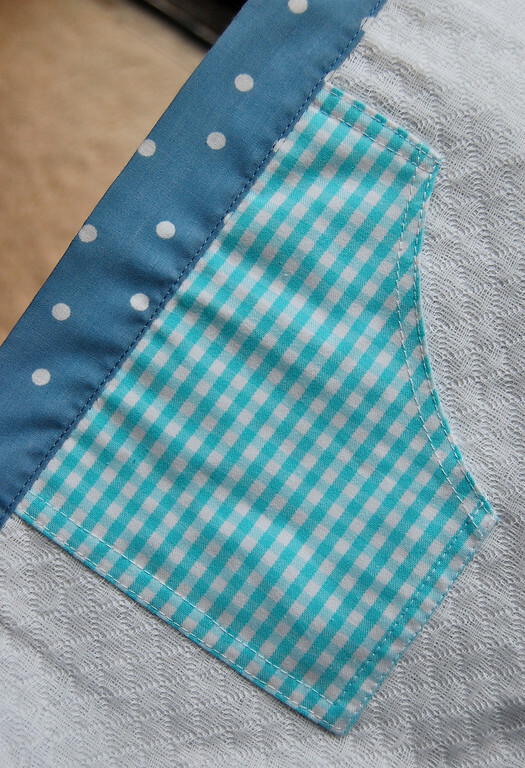 Tuck that last edge into the seam it is meant for. 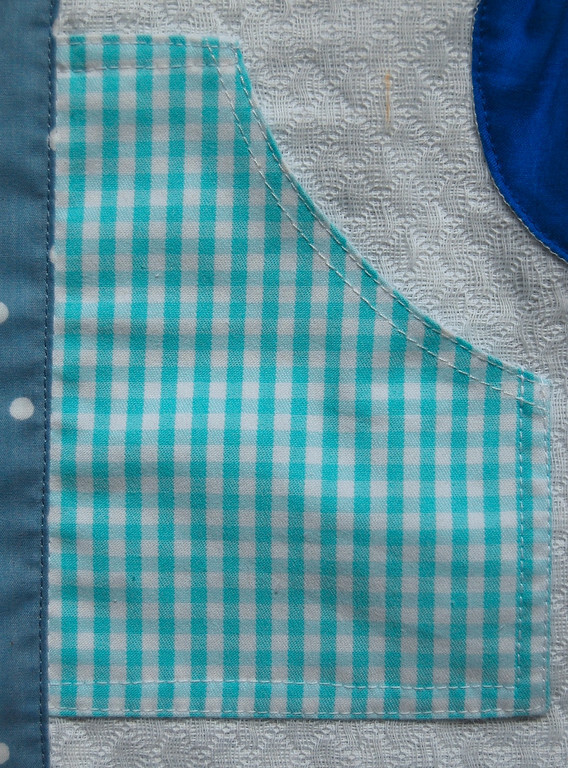 The right pocket will be tucked into the side seam of this gathered skirt. 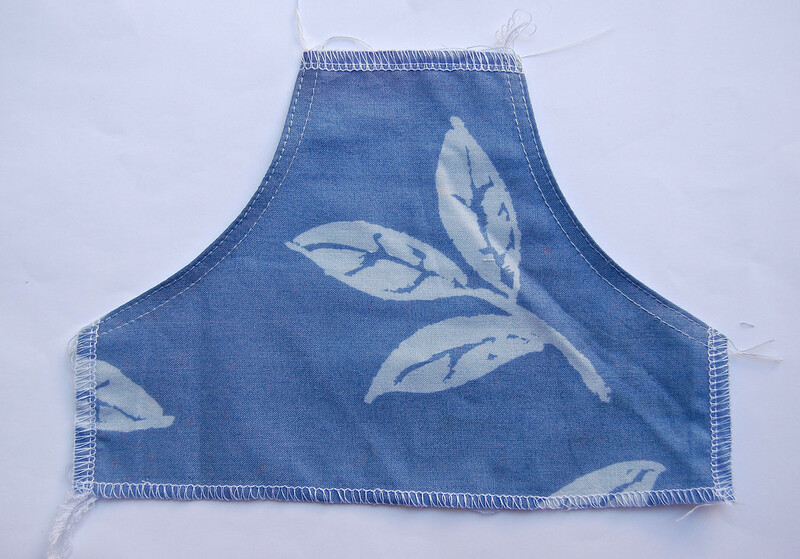 The left pocket is standing alone, so all its edges except for the top (which will be tucked into the waistband) will be folded in and top-stitched to the skirt. You can also make one a mirror image of the other, and sew them in the front of zippered sweatshirts, on either side of the zipper. 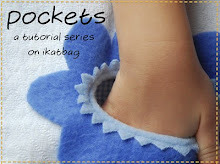 Or make kangaroo pockets for sweatshirts and hoodies that don't have zippers! 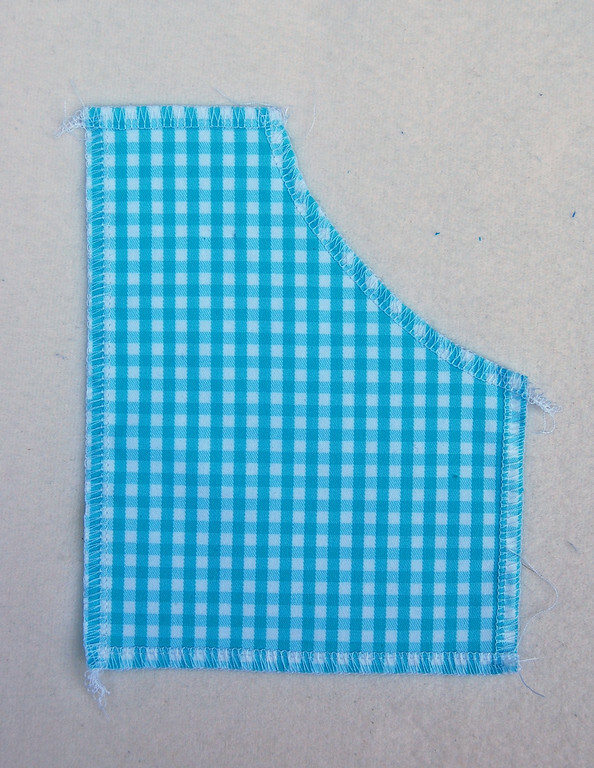 Fold in and top-stitch the folded edges. 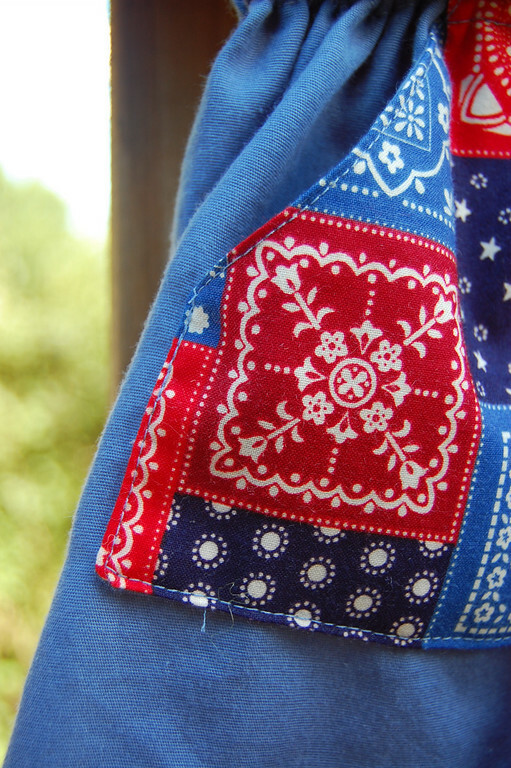 Because this is a stand-alone pocket that doesn't have any of its edges tucked into any seams or hems, fold in all the other edges and top-stitch them to the garment. 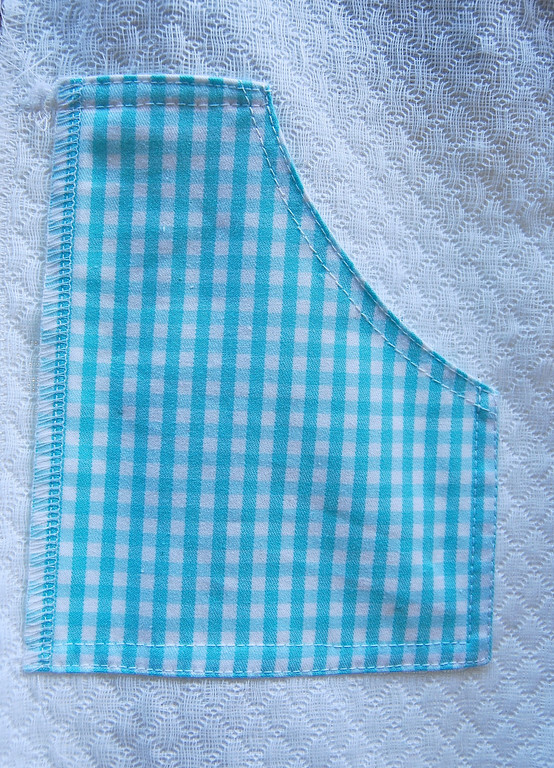 You can leave the pocket as is, or sew a vertical line down the middle to make a divided kangaroo pocket. 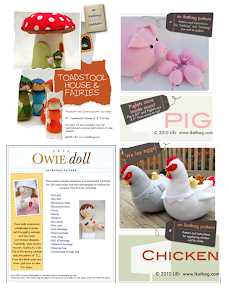 Next up: some gathering and shirring! I am loving this series! Thanks so much for all the work that went into it. I'll be linking. I want everyone to learn as much as I did! I totally need a serger. Do they change your life? I think it would change mine. From your #1 Fan. You rock!